Stream the comforting new album from pokémom. The ongoing theme states that there is beauty in darkness, almost more so than in the light because it's less obvious and therefore more true. The EP starts with a soft tune of powerful consolation called “i am (x4)” in which Santacrose proclaims, “I am free and I am me / and this is still my body / and I am taking back what is mine.” “november 11th” is a somber track encompassing the pain and confusion surrounding the recent presidential election. Santacrose’s angelic melodies whirl as they sing, “It feels wrong to have hope in this time / to have we’s or mine’s or I’s.” The reverbing vocals in “my body” take ownership of one’s own matter and ends with the resounding truth conclusion of “I forgive my body for everything it had to do to survive you.” While this release tackles serious topics, it's also sprinkled with more lighthearted clever lyrics, one of the most notable being, “If my body is a temple, it has a motion sensor light / I turn on when you pass by.” Everyone has different talents to use to help others during this despairing time, and Santacrose uses their songwriting abilities to create inspiring songs that we can cling to for comfort. 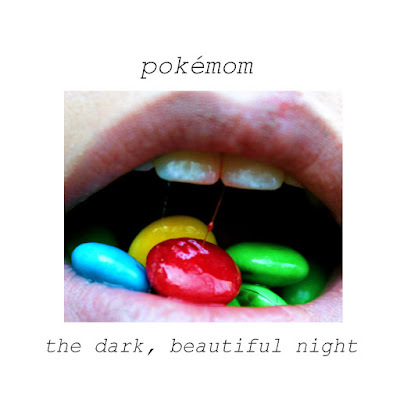 Listen to pokémom on bandcamp. Katryn Macko is a Virgo living in Chicago, IL, who was a former member of the bedroom pop band Naps in Tallahassee, FL. She is currently an intern at Flowerbooking, lives at a house venue called Margaritaville, and is the certified #1 fan of the Bud Light Lime-A-Rita brand. She enjoys singing karaoke, beating boys at foosball, and crying to nineties romantic comedies in her spare time.